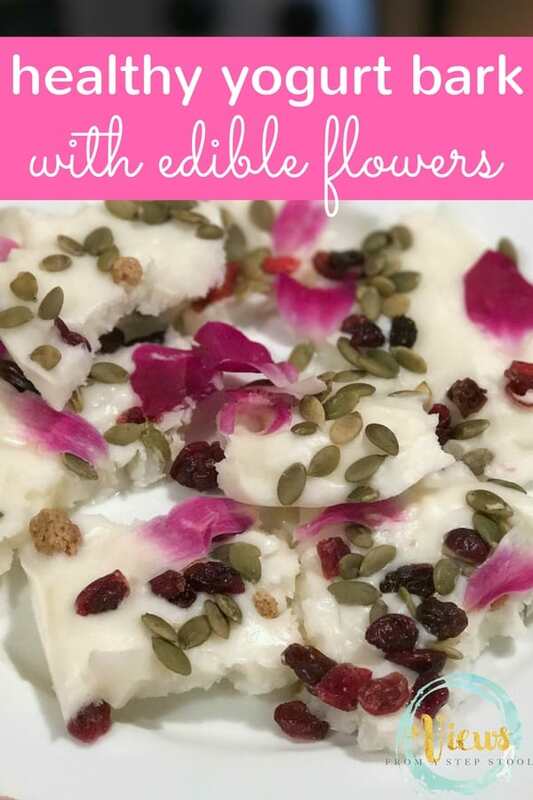 My kids LOVED making this edible flower bark! 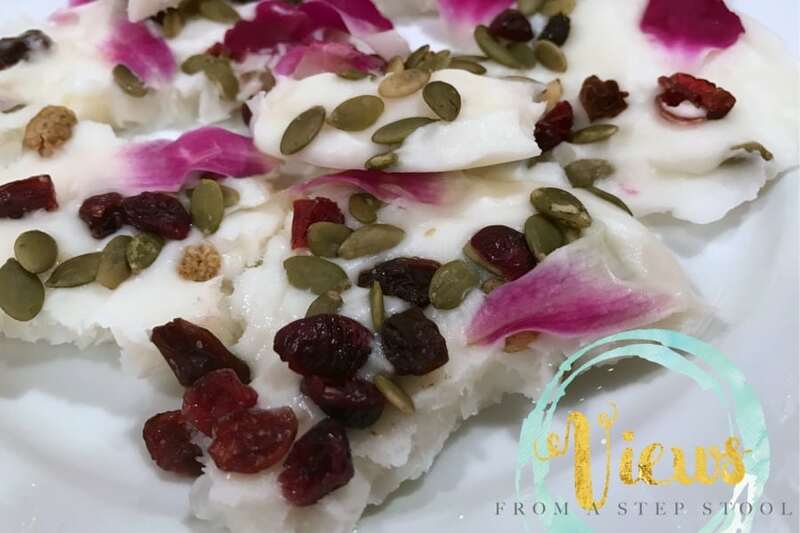 Not only was it tasty (and healthy), but there are so many fine motor and math skills to work on with kids in the kitchen! 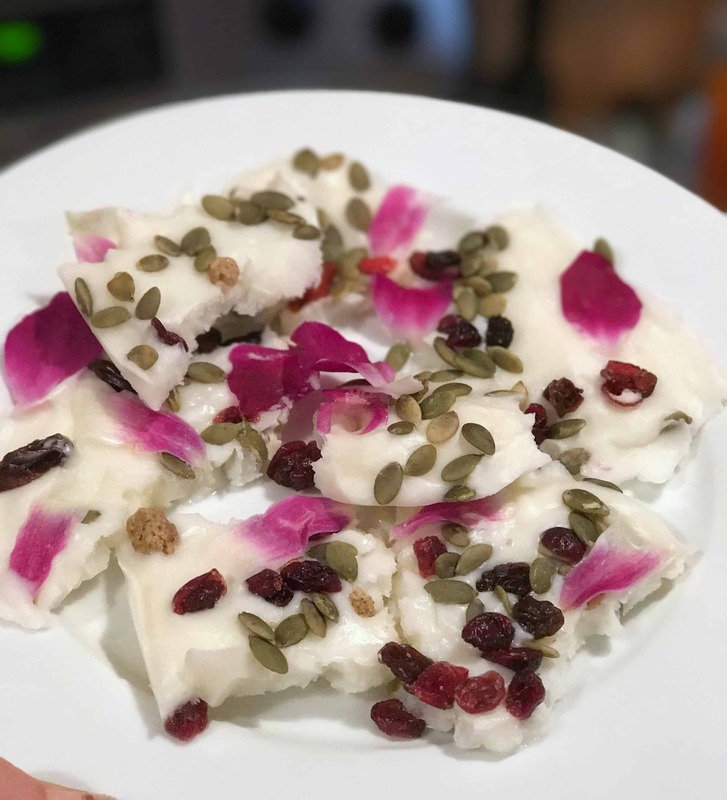 If you are having a hard time finding edible flowers, you can opt for some dried ones instead. 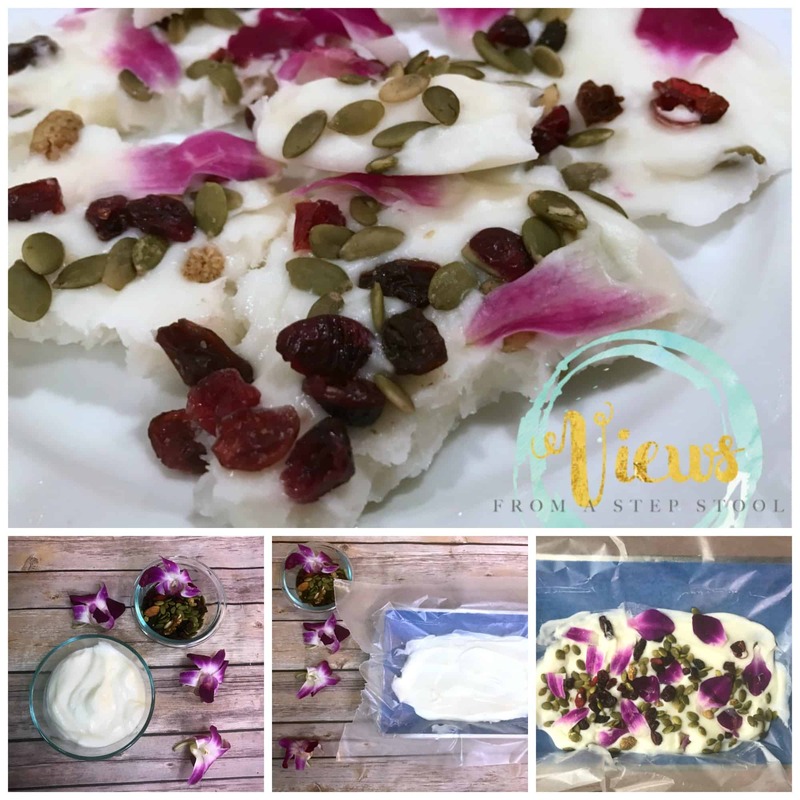 We loved the look of the fresh Hibiscus and found them with the herbs at our grocery store. 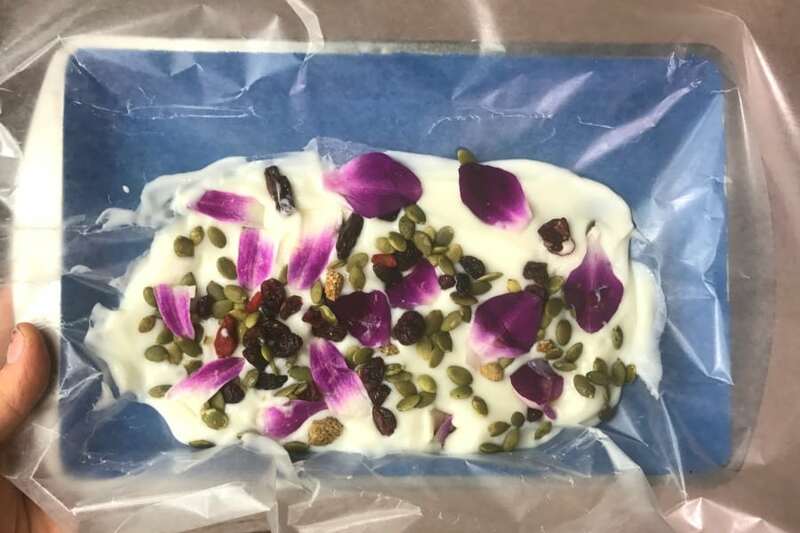 Spread the yogurt out on a waxed paper lined baking sheet. 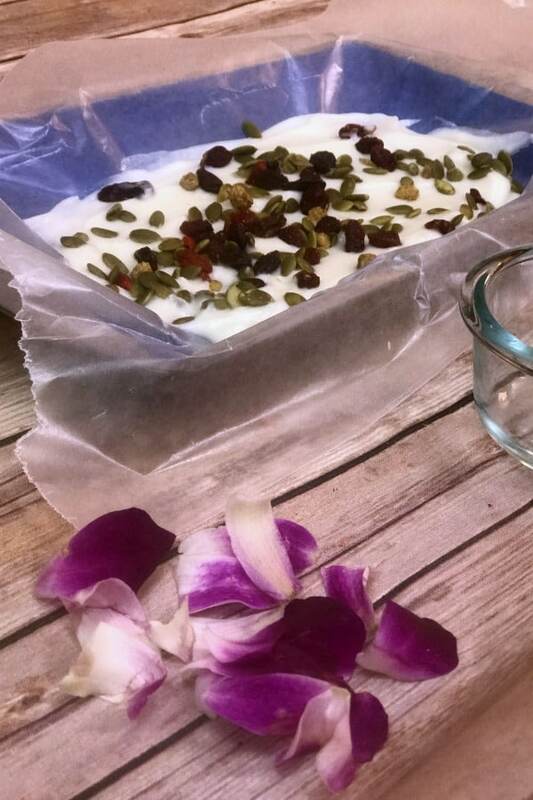 Carefully sprinkle the ingredients onto the yogurt, pressing them in gently. 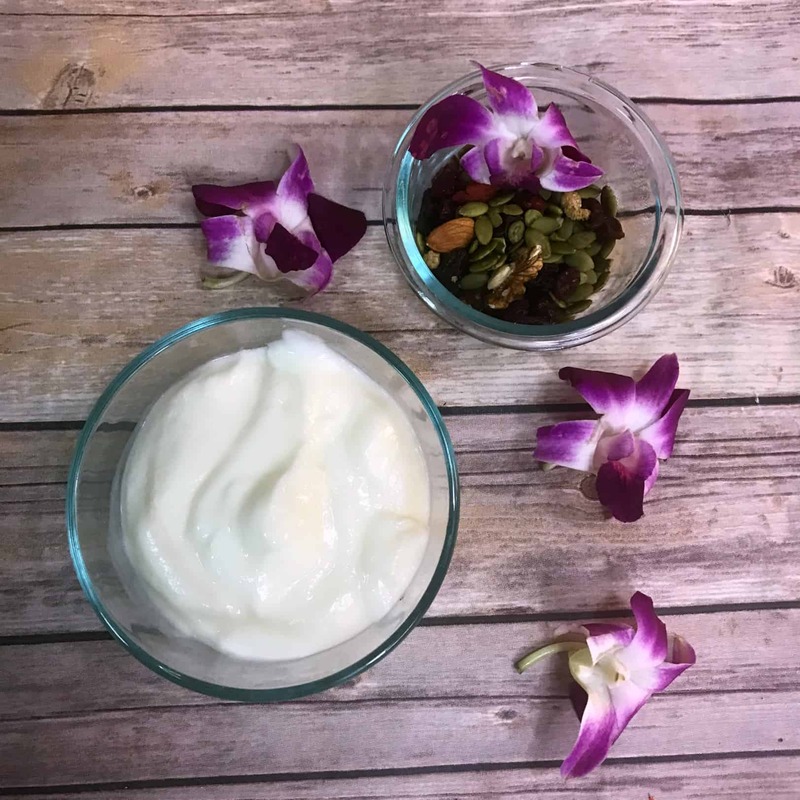 Gently add the flower petals to the yogurt, also pressing gently so that they don’t sink into the yogurt (this just makes it prettier!). 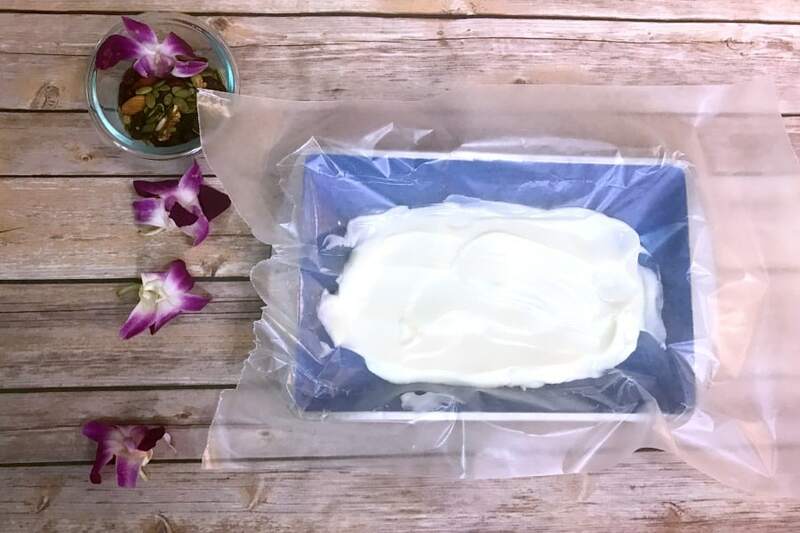 Place the tray in the freezer overnight. Remove from the freezer and break into pieces! You will need to eat them quickly, they melt fast but are tasty! 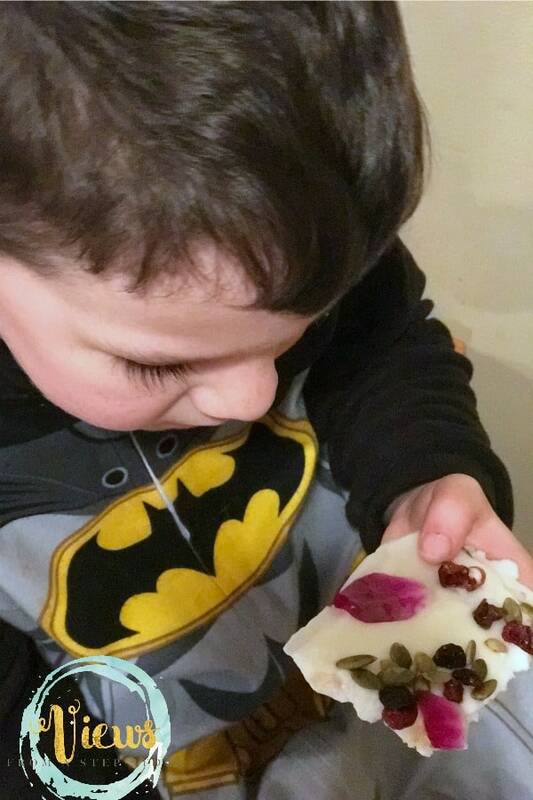 My 6 year old has recently become much more adventurous with food, so we are really trying to explore a ton of different flavors and textures. This was a really fun one!